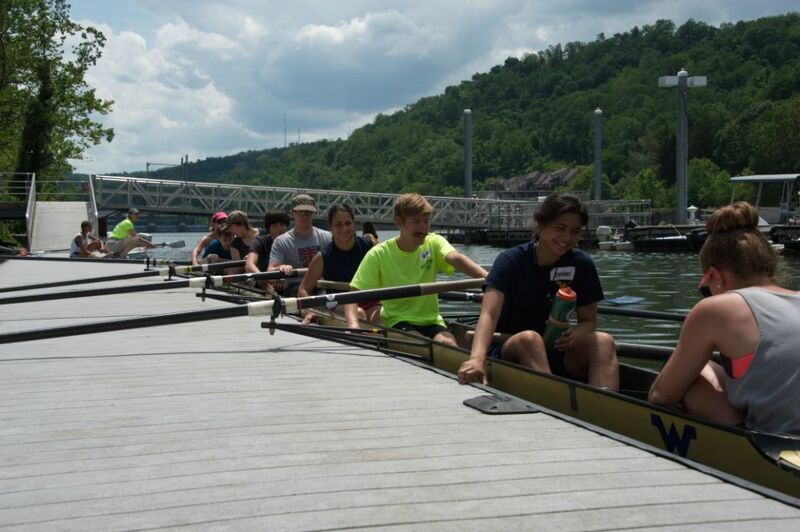 The Monongahela Rowing Association (MRA) wishes to thank all those who helped and participated in this year’s National Learn to Row day. This year’s event, held last Saturday June 1st , at the Boathouse on the banks of the Monongahela, in the Morgantown Wharf district, was a great success. The entire organization labored to make this such a successful day but in particular we are grateful to the 14 volunteers who spent the entire day attending to the visitors. This group included all current MRA Board Members [David Rosen, Mary E. Hannah, Jane Schupp, John Duarte], our at large Chair for NLTR day [Barbara Linn], 3 at large current members [Kelly Duarte, Lynn Clough, Adam Herrick], 2 former MRA members [Shelley Johnson, Dave Lang], the current student President of the WVU Men’s Crew Club [Adam Herrick], and 4 current members of the WVU Women’s Collegiate Rowing Crew [Karen Verwey, Courtney Schrand, Sarah Taylor, Tiffany Hatcher]. 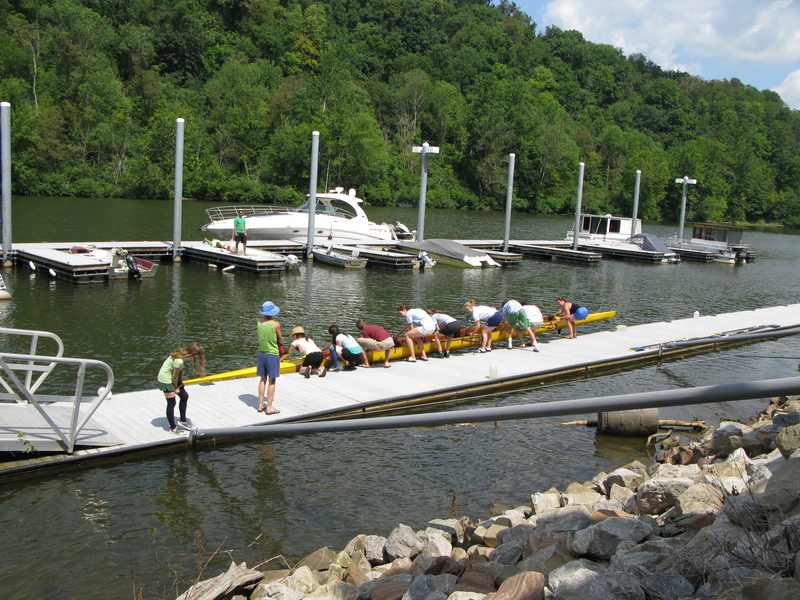 56 people with no prior rowing experience registered on site to get on a rowing shell (boat) and take advantage of this incredible opportunity to experience rowing in Morgantown. Participants ranged in ages from 7 years old to well into the 60s. At least one Morgantown City Council Member came to check out the activity and lingered around to talk with participants. Our crew labored from 10am to almost 5pm to enable the crowd to safely experience what we call the magic of rowing. On the water there were opportunities to try rowing in a competition class 4+ and 8+ Sweep Shells, and also Single Sculling Shells. The weather cooperated beautifully, the waters of the Monongahela were calm, and welcoming. There were no power boat disturbances, thanks to the no wake zone now in place on the Morgantown river front; in essence we had the river to ourselves and the day was perfect allowing us to give the best possible experience to those who came. A dozen participants expressed a desire to take on rowing and the next Learn To Row class for novices has now been scheduled. Additional classes will be held as people register and instructors are available. Membership is open to those interested in the sport of rowing. Registration is also open for Youth Rowing Crew, email: coach@monrowing.org. We encourage youth now entering 8th grade through 12th to explore this opportunity. Membership in MRA is open to any individual who wishes to engage in the pursuit of the sport of rowing or wishes to support the long term goals of the organization.